Hobson & Porter, one of Yorkshire and the Humber’s leading construction contractors, has cemented its reputation for being a safe and responsible employer by receiving a Gold Medal at the RoSPA Health and Safety Awards 2017. Construction is one of the most safety-critical of all industries, so it is vital that contractors and employers take a meticulous approach to safeguarding both its own people and everyone who comes into contact with a live site. 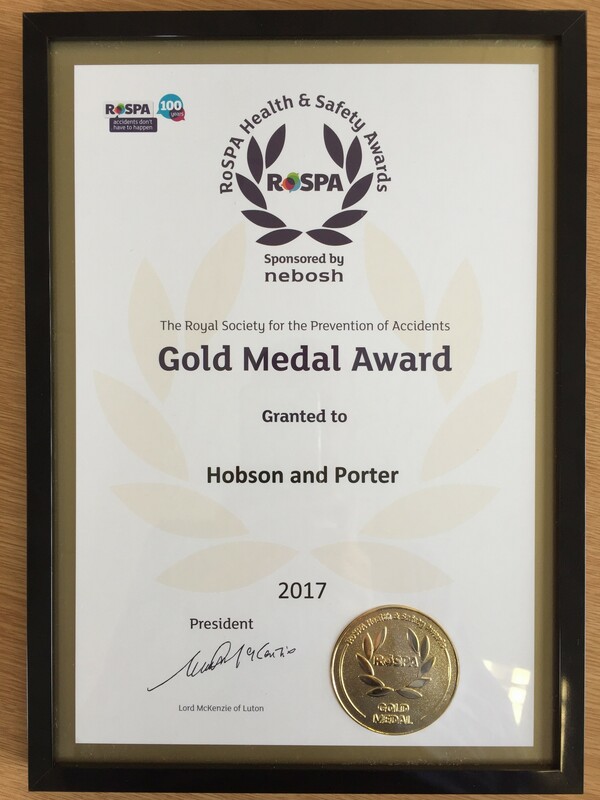 The ROSPA Gold Medal underlines how Hobson & Porter consistently makes health and safety its overarching priority, with best practice in areas such as leadership, learning and workforce involvement. 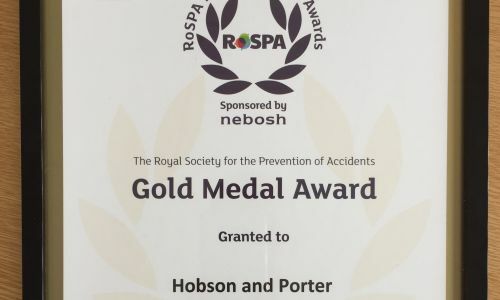 The ROSPA Gold Medal was awarded just days after Hobson & Porter launched its new Safe Works brand. Safe Works is Hobson & Porter’s vision for a zero-accident safety culture, and is communicated through the business’s 12 lifesaving rules. The initiative is based on the slogan ‘make TIME for safety’, with 12 key rules relating to the letters T (travel) I (In advance) M (moving around sites) and E (Executing work). It has been implemented to ensure that Hobson & Porter operates to the most robust safety standards to reflect best practice with the industry. 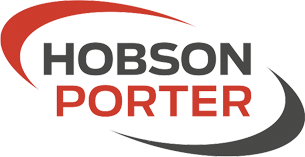 Joe Rymer, health and safety manager for Hobson & Porter, said: “As a responsible employer, we want to make sure every member of our team maximises his or her safety and minimises the risk of accidents on site. Over the recent weeks and months our Health & Safety Management team, in conjunction with the board of directors, has identified the 12 prominent risks which our people and our supply chain face on a daily basis. “By following the 12 Lifesaving Rules – which cover getting to work, entering a live site, moving around a site and using equipment – our people will contribute towards a culture which reduces risk and aims to eliminate all accidents. Richard Hunter, managing director at Hobson & Porter, said: “We are delighted to have been awarded the Gold Medal from RoSPA, which is one of the most sought-after health and safety accolades a business can receive. “Our corporate ethos surrounding health and safety is one which encompasses continuous improvement, best practice, and consistent levels of effort and resource. Health and safety is business-critical and our number one priority. Safety always comes before delivery, meaning if we can’t do it safely, we won’t do it. Hobson & Porter is currently involved in a number of high-profile projects in the Humber region, including a multi-million-pound refurbishment of Hull’s popular Woodford Leisure Centre, and (insert relevant projects).